Zeiss - CMM Manufacturers Blog - CMM Inc.
We have an extensive inventory of many of the different Zeiss models including: Accura, Contura, Spectrum, Eclipse and Prismo models. Ranges from as small as 500 mm in X, Y and Z to larger bridges are usually in stock. If we don’t have the Zeiss of your choice in inventory then our procurement experts can find you one. Every Zeiss machine on our website is given a thorough going over by our expert technicians. Components that are defective or temperamental are replaced or repaired. When necessary new probe heads and probing are installed. In fact, we can tailor a machine of your choice with the components you require. All our Zeiss machines are guaranteed to work successfully after commissioning, every machine in our inventory is videoed fully operational for your peace of mind. Zeiss machines that are completely rebuilt or retrofitted are given full manufacturer’s warranty - it’s just like buying new, but better! Every Zeiss CMM machine in our showroom is ready for immediate delivery ensuring a fast turn around time, no more waiting for lengthy factory deliveries of new machines! Why buy a used Zeiss CMM? Over the past few years, more and more companies have decided to purchase a used Zeiss coordinate measuring machine and in most of the cases they have been happy with their decision. It’s a well-known fact that the average Zeiss coordinate measuring machine has a service life between 10 to 30 years, in fact with a retrofit this can be extended to 30 years plus! A good majority of Zeiss machines use frictionless bearings and unlike their metal cutting counterparts perform without external stresses. This means that a machine originally built over 15 years ago that has been serviced regularly can be purchased safely as a used machine. The additional consideration of course, would be to install new software. The general rule of thumb when purchasing a used Zeiss CMM is to consider the age of the machine, and its level of complexity - a mid-90s Zeiss Eclipse will be at trouble-free investment for years to come. Has the machine been retrofitted with non-Zeiss components? If it has, then the actual value of that machine is severely depreciated unless of course the retrofit components are those of a well-known brand performed by a skilled and knowledgeable company. Can you see the machine running or is a video provided? This is just good insurance. If the vendor is not the original owner is the reseller reputable, and will they supply references and guarantees for you? Inspect the probing system, make sure it triggers properly and make doubly sure the system is current, or parts are available readily. When was the software last updated? Remember, if you purchase a machine with the UMESS or USoft you will probably have to replace it. If the above basic guidelines are followed, then it’s possible to pick up a good used Zeiss coordinate measuring machine for 50 to 65% of the cost of new. 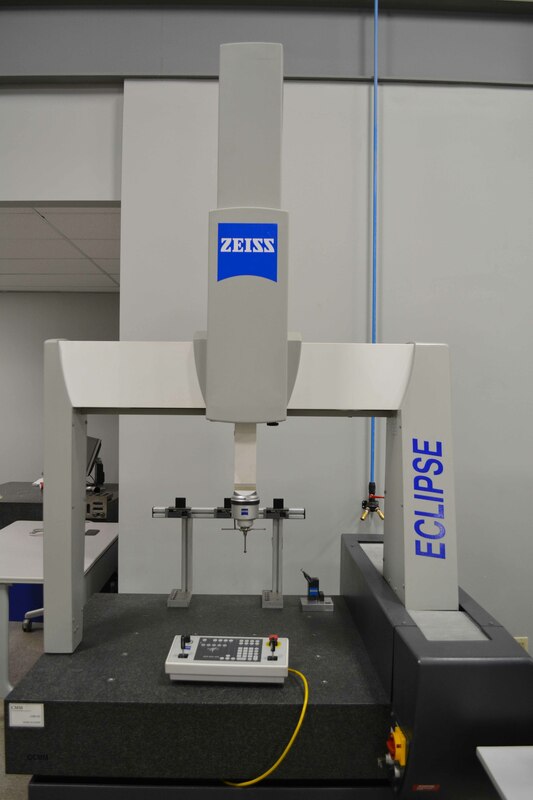 Canadian Measurement-Metrology Inc. has an extensive inventory of pre-owned Zeiss coordinate measuring machines.